In the “proof of concept” phase launched in 2016, the Fund raised €2m including €1.5m in interest-bearing loans and €0.5m in grants. This Fund was invested to provide sustainable and affordable water and energy to 400,000 rural people in Eritrea and Ethiopia. 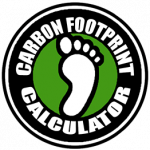 In the process, 420,000 tons of carbon emission savings has been generated and these emissions have been sold on voluntary carbon markets with the income used to repay investors. In 2018, Vita is scaling up the Green Impact Fund to €20 million which will provide four million people in five countries in Africa with sustainable and affordable water, energy and forestry. It will generate up to four million tons of annual carbon emission savings, a highly significant climate change mitigation programme. The Green Impact Fund is an innovative model of leadership on climate action which can enable legislators, industry and impact investors to work together to deliver on social and climate justice.